Calling all young minds with fire in the belly! Do you believe you have an Idea which can bring change? Do you have a dream of building your own company? 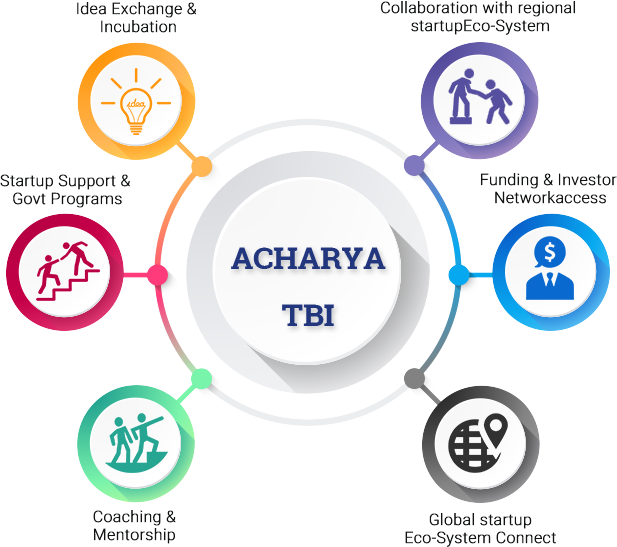 If yes, present your Idea and stand a chance to win Incubation support and Funding support from Acharya Institutes for eligible startups ,the programme curated by InQ, a global incubator and startup Accelerator. At Acharya Institutes, we believe in 'fueling the quest for knowledge'. In doing so, our commitments pave the way for the individual professional success which culminates in benefiting the society. Creating a vast state-of-the-art academic infrastructure, putting together best teaching talent, equipping with every required learning aid ensure that students at Acharya get the best in academics. Sporting, cultural and extra-curricular facilities are put in place so that the students enjoy their campus life. The wide range of Acharya academics encompasses Engineering, Management, Technology, Life Sciences, Pharmacy, Nursing, Teaching, Journalism, Communication, Fashion Design, etc. and has drawn aspiring youth from every part of India and across the globe. Acharya Institutes is truly emerging as the nurturing ground for leadership. It has become synonymous with practical and industry-focused education. The fact that Acharyans, today, are a familiar face in the industry and the same is a demonstration of its total commitment to excellence in academics. At Business Toys we believe in Gamifying Education to deliver fun based learning experience. Our products are designed to enhance employability skills. "Learning Celebrated" is what we aim to achieve in every classroom across India. Business Toys Pvt. Ltd, seeks to bring in sheer "FUN" into classroom by way of web based simulations for academic theories, concepts & models. We believe in "PLAY > LEARN > GET AHEAD" as a model. Currently the target Market is academic institutions & students of Plus two, Graduation and Post-Graduation in commerce and Management stream. Leaf box is a technology company which designs & builds natural air purifier that helps in purifying the polluted air by enhancing the quality of air that we breathe in. Leaf box combines AI & natural plants to deliver fresh air and to monitor air quality. Q: Where is the startup program located? 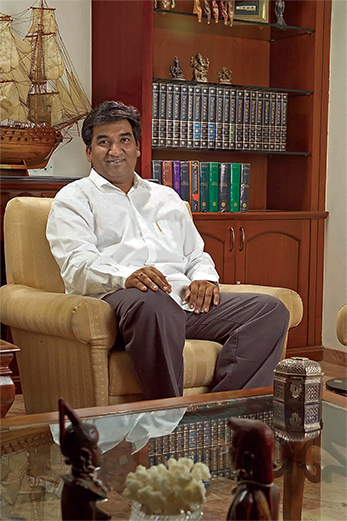 Acharya Institute will run the program from its Bangalore Campus in India. Q: When is the last date for applying to the Program? Q: Can my startup be just One founder team only? We encourage at least 2 members in the startup founding team. However, if the idea is strong and you can demonstrate the ability to scale up within the first one month of the program we will consider you. Q: What happens post the program? What can we expect? We will extend support through virtual connects, access to the core Mentor team and any opportunity to scale. Q: Do we need to be work out of Acharya Institute? Remember, you get the basic co-working space with Acharya. The advantage is also the mentoring sessions, special workshops, Pitch sessions. 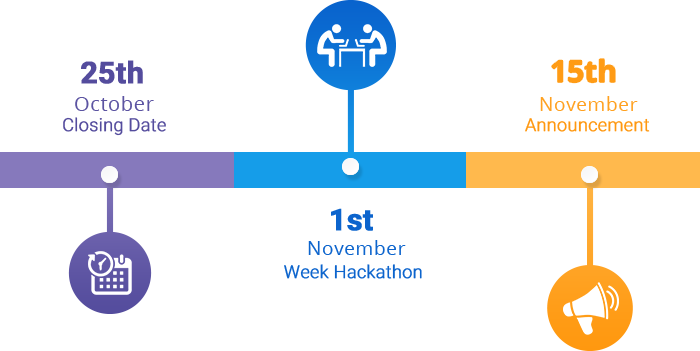 It will be necessary to attend the strategy session, GTM sessions that take place monthly to reap the full benefits and gain access to our entire portfolio of support services. Q: What will we gain from the Acharya Institute Accelerator Program? - Mentoring sessions on Tech, Marketing, Legal etc from world-class experts. - Access to potential interns/team members.